Here is a look back at some of the most memorable World Series moments, starting with the Cubs—finally—winning the World Series title the franchise had been chasing since 1908. The Chicago Cubs won their first World Series in 108 years with an 8–7 victory over the Indians in a wild and crazy Game 7 in Cleveland, the fourth such contest to be decided in extra innings. Ben Zobrist’s RBI single off Bryan Shaw brought home pinch-runner Albert Almora Jr. with the go-ahead run in the 10th, with the Cubs tacking on another run for good measure, and Chicago withstood a comeback by the Indians that fell just short in the bottom of the frame. Alcides Escobar hit an inside-the-park home run on the very first pitch from Matt Harvey. A power failure temporarily blacked out the TV audience and prevented any replay reviews. Crazy bounces, great plays and key errors. The longest World Series opener ever (tied for longest Series game ever) had a little bit of everything. Saved by Alex Gordon's tying home run in the ninth inning off Mets closer Jeurys Familia, the Royals won in the 14th when Escobar dashed home on Eric Hosmer's sacrifice fly for a 5-4 win. After the Giants went ahead 3-2 in the top of the fifth of Game 7, manager Bruce Bochy eschewed his normal relief options and called for ace Madison Bumgarner, who threw 117 pitches three days earlier. MadBum stared down the Royals for five innings, giving up a hit to the first batter he faced and then retiring the next 14 in a row. He induced Royals catcher Salvador Perez to foul out to third for the final out, giving the Giants their third title in five seasons. Bumgarner was credited with a save, and he finished the Fall Classic 2-0 with a 0.43 ERA and 17 strikeouts against just one walk. And, yes, he was named MVP. 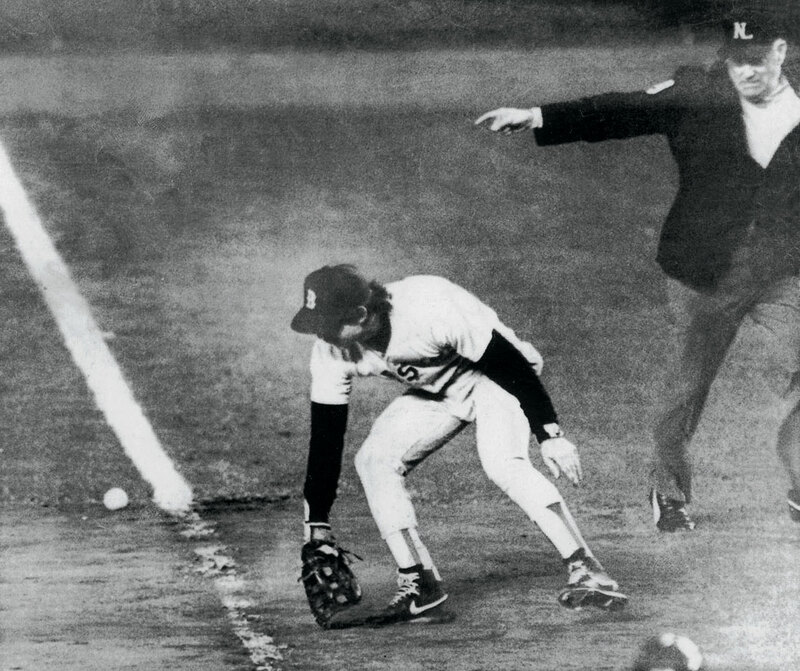 In more than a century of World Series games, not one had ever ended on an obstruction call or a pickoff. 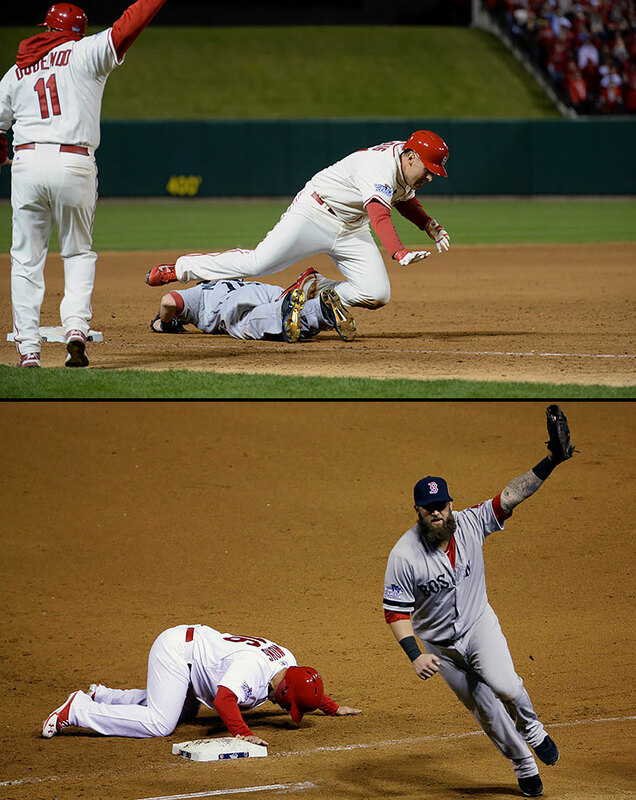 But in 2013, those unusual plays provided the final moments of games on consecutive nights. First, in Game 3, third base umpire Jim Joyce noticed that Craig had accidentally been tripped by Boston third baseman Will Middlebrooks when he tried to scramble to his feet and head home. Joyce called obstruction and St. Louis walked off with a 5-4 win and a 2-1 Series lead. The next night, with two out in the ninth inning of a 4-2 game, Red Sox closer Koji Uehara picked off Kolten Wong, ending the game and tying the Series. Boston went onto win the next two games for its third championship in 10 seasons. 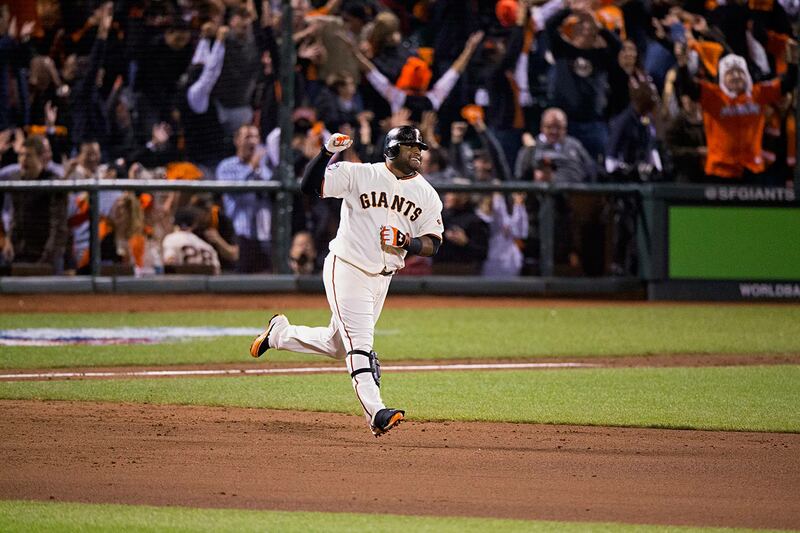 Pablo Sandoval penned a chapter in baseball history when he became the first player to hit a home run in his first three plate appearances of a World Series game. The Giants slugger also joined Albert Pujols, Reggie Jackson and Babe Ruth as only the fourth player in history to go yard three times in a single World Series game. Albert Pujols had the most productive game in World Series history, going 5-for-6 with three homers and six RBIs, leading the Cards past the Rangers 16-7 in Game 3. Pujols became the third player to hit three homers in a Series game, joining Babe Ruth, who did it in 1926 and again in 1928, and Reggie Jackson's performance in 1977. His six RBIs tied the record in a game, matching Bobby Richardson in 1960 and Hideki Matsui in 2009. 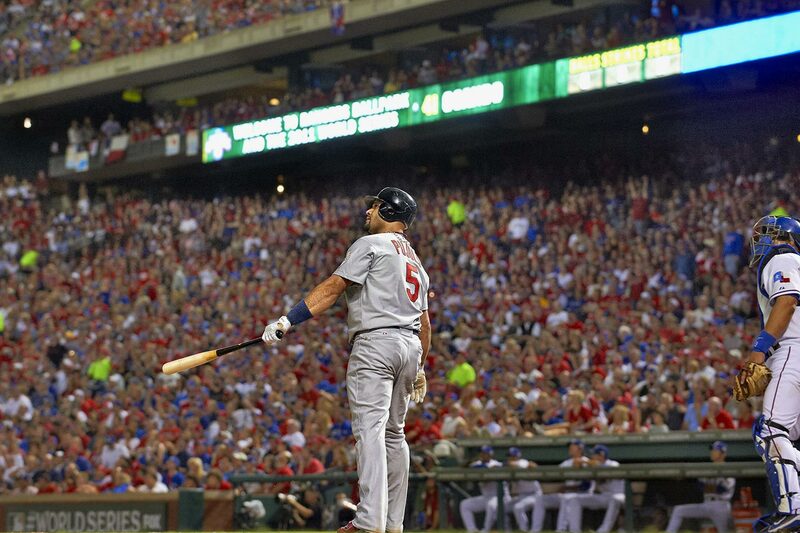 Twice down to their last strike, the St. Louis Cardinals kept rallying to win one of baseball's greatest thrillers. 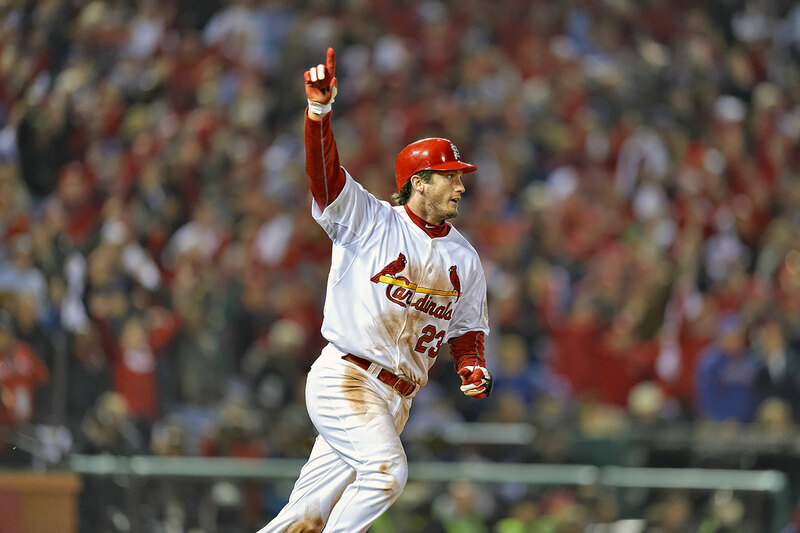 David Freese (23) completed a startling night of comebacks with a home run leading off the bottom of the 11th inning to beat Texas 10-9, and suddenly fans all over got something they have waited forever to see: Game 7 in the World Series. 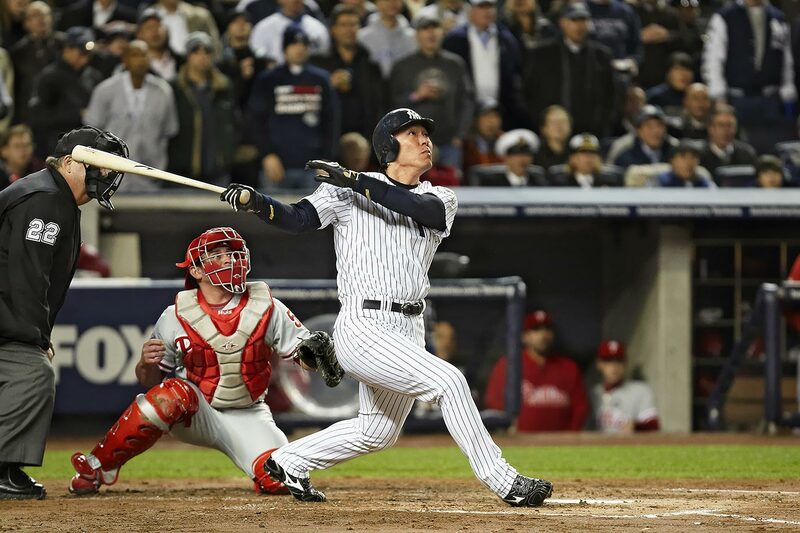 Hideki Matsui tied a single-game World Series record with six RBIs in Game 6 as the Yankees beat the Phillies 7-3 to clinch their 27th world championship. Matsui batted .615 overall in the Series with three home runs and was voted Series MVP. The White Sox' scrappy leadoff hitter, Scott Podsednik, hit zero home runs in 507 regular season at-bats in 2005, but he gave Chicago a 2-0 World Series edge with this shocking blast off Houston closer Brad Lidge in the bottom of the ninth at U.S. Cellular Field. Little-known Mark Bellhorn provided the biggest hit of the 2004 Series for Boston with his eighth-inning, two-run home run in Game 1 that gave the Red Sox an 11-9 lead. Boston went on to sweep the Cardinals and win its first title since 1918. Marlins shortstop Alex Gonzalez ended the second-longest game in World Series history with this home run off Yankees reliever Jeff Weaver in Game 4 The win evened the Series at 2-2. Florida won the next two games as well to win its second title in seven years. 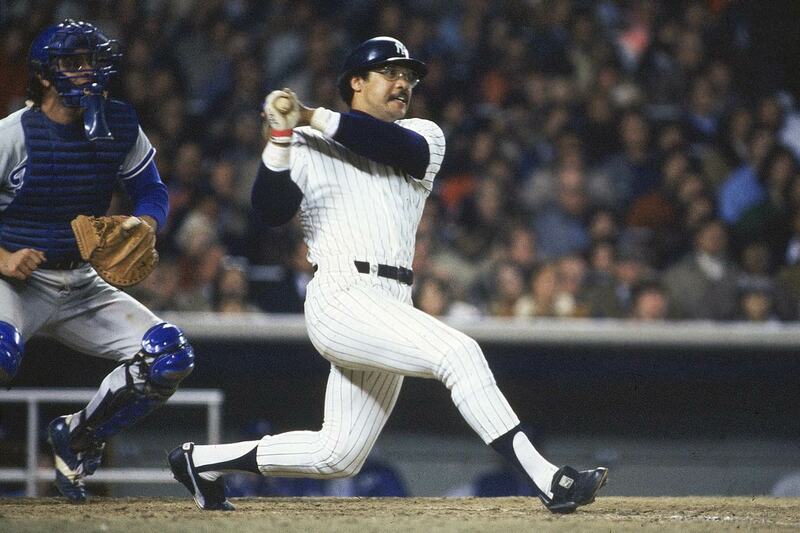 The Yankees already had Mr. October. 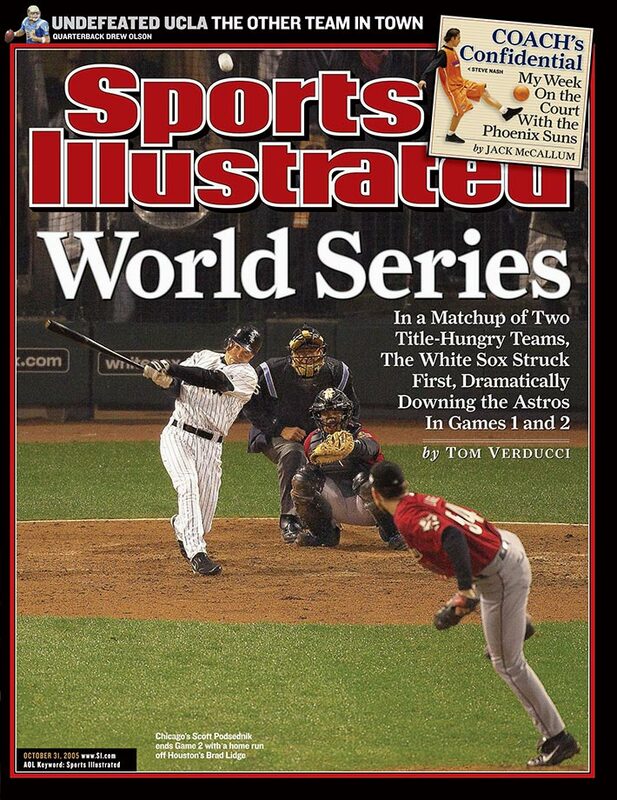 In Game 4 of the 2001 World Series, Derek Jeter became Mr. November with his 10th-inning blast off D'backs reliever Byung-Hyun Kim, which came after the clock had struck midnight on November 1. The blast evened the Series at 2-2. For the second time in less than 24 hours, the Yankees got a game-tying two run homer with two outs in the ninth inning against Arizona's Byung-Hyun Kim. 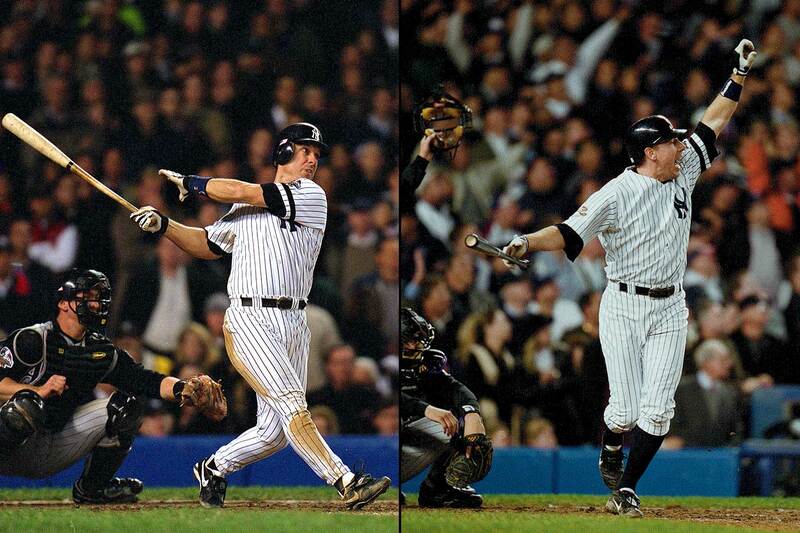 In Game 4 it was Tino Martinez and in Game 5 it was Scott Brosius who rescued New York. The Yankees went on to win Game 5 in extra innings. After watching the Yankees rally for improbably wins in Games 4 and 5, it was Arizona's turn in the decisive Game 7. The Diamondbacks trailed 2-1 entering the bottom of the ninth and had to face New York's closer extraordinaire, Mariano Rivera. They tied the game and then loaded the bases for slugger Luis Gonzalez, who had hit 57 home runs during the regular season. All the D-backs needed was a single, and that's what Gonzalez gave them, blooping a base hit over the drawn-in infield to score the Series-winning run. 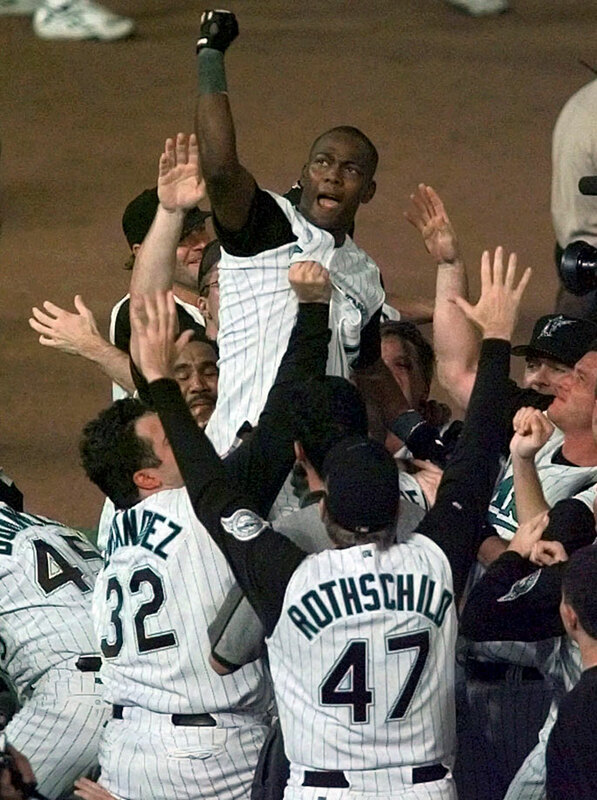 The Marlins fought back to tie Game 7 in the bottom of the ninth and then won it in the 11th when Edgar Renteria singled to center field to score Craig Counsell with the winning run. Florida became the first wild card team to win a World Series. 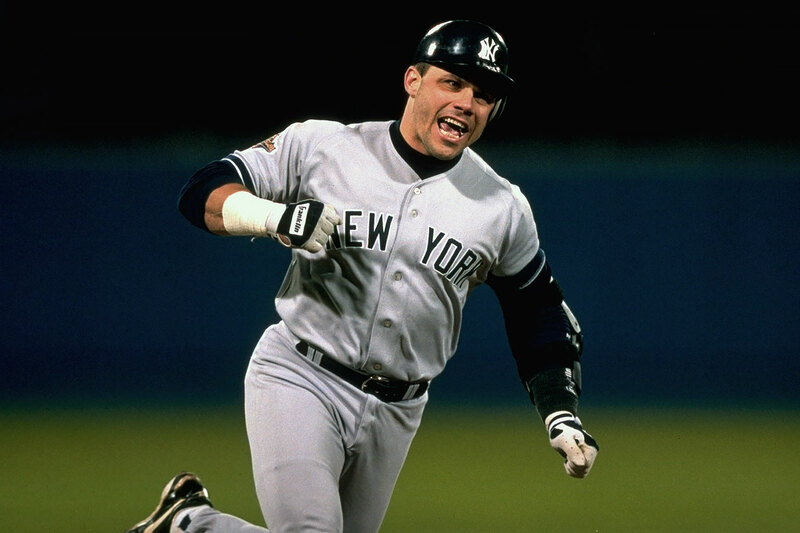 The Yankees were in danger of falling behind 3-games-to-1 to the Braves when Jim Leyritz came off the bench and launched a three-run home run off closer Mark Wohlers to tie Game 4. The Yankees went on to win 8-6 in 10 innings and take the Series in six games, their first title since 1978. 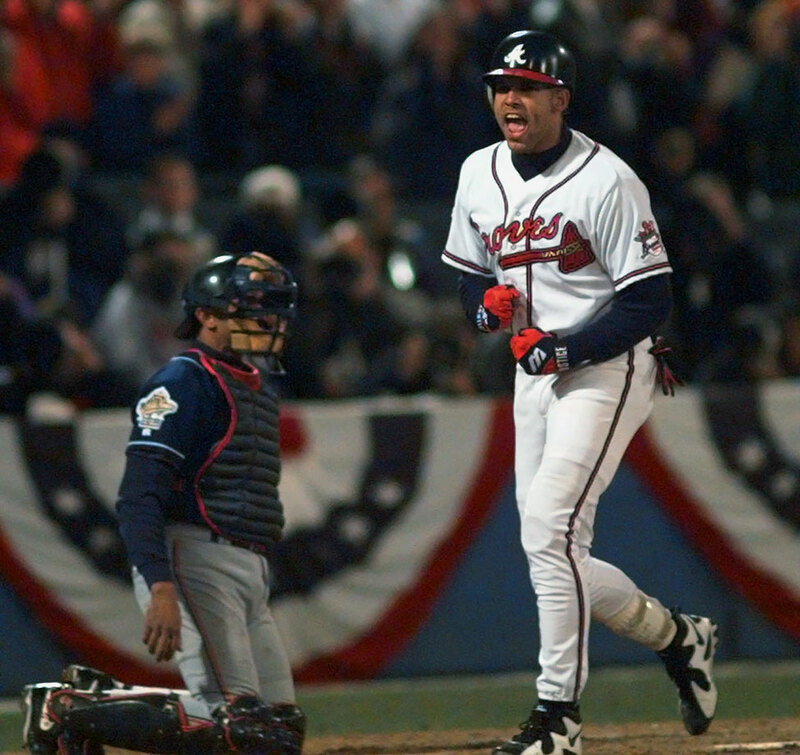 David Justice's solo home run was the only run scored in the Braves' clinching Game 6 victory over the Indians. Tom Glavine pitched eighth shutout innings for Atlanta in the 1-0 win. 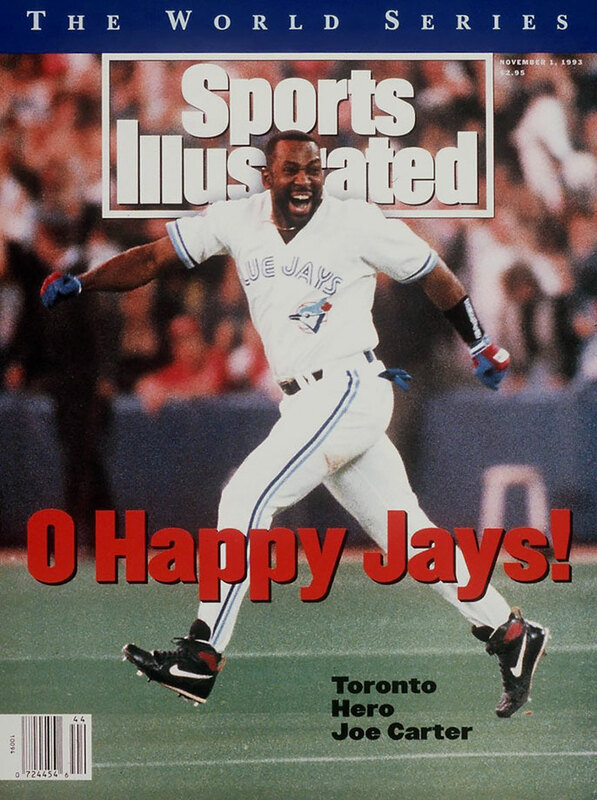 Joe Carter locked up the Blue Jays' second straight world championship with a walk-off home run in Game 6 against Phillies closer Mitch Williams. 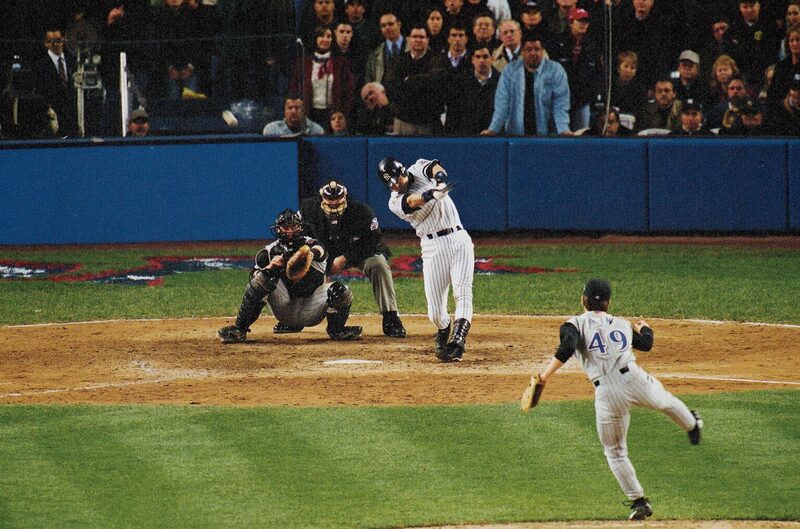 It was only the second time a World Series had ever ended on a home run. 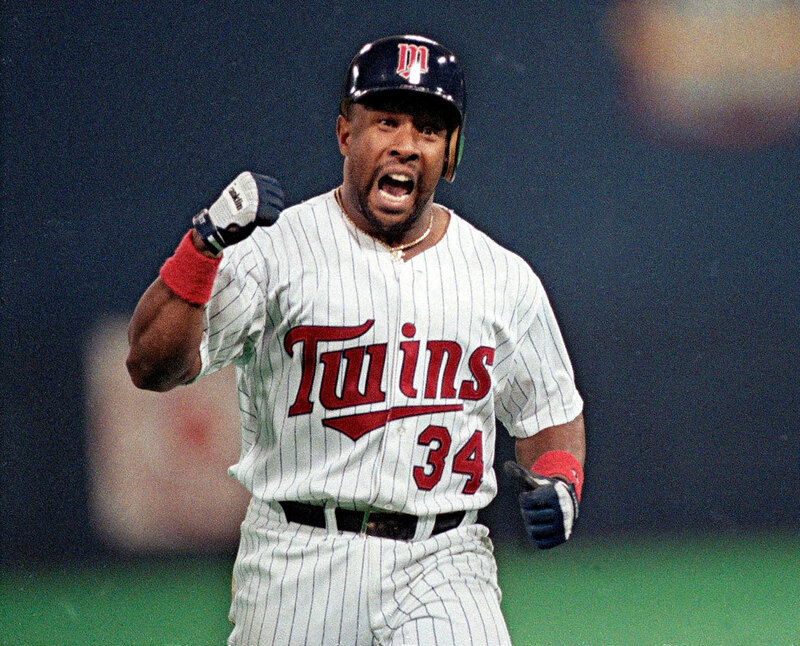 In what may have been the best World Series ever played, the Twins' Kirby Puckett hit a walk-off home run in the bottom of the 11th inning to even the Series with the Braves at three games apiece. It was the fourth game of the Series to be decided in a team's final at-bat and there would be a fifth in Game 7, which Minnesota won 1-0 in 10 innings behind the complete game brilliance of Jack Morris. 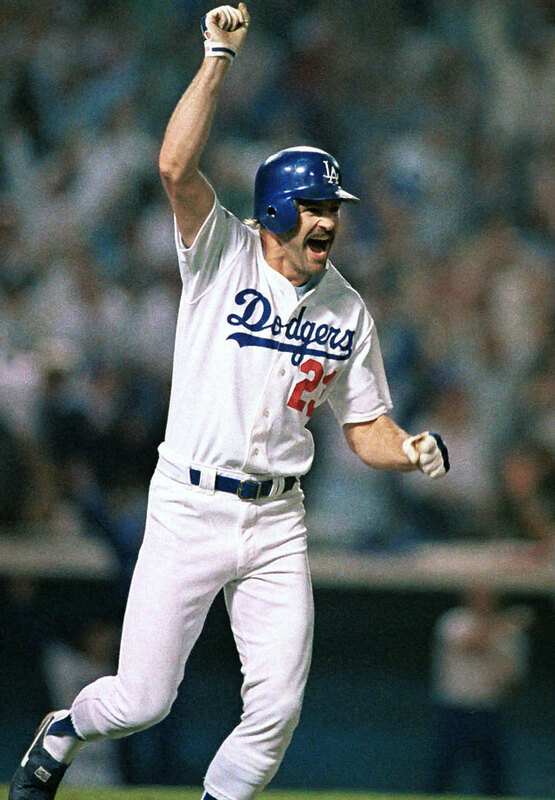 A hobbling Kirk Gibson shocked the A's — and the baseball world — with his pinch-hit, game-winning home run in the bottom of the ninth off Dennis Eckersley in Game 1 of the '88 World Series. Gibson didn't play for the rest of the Series but the inspired Dodgers crushed the heavily-favored A's in five games. The Red Sox were two runs ahead and one out away from their first championship in 68 years when the Mets began an unlikely rally in the bottom of the 10th. Three singles and a wild-pitch tied the score, and then New York's Mookie Wilson hit a groundball that went through the legs of Bosto first baseman Bill Buckner, allowing the Mets' Ray Knight to score the winning run. Two night later, the Mets rallied for an 8-5 win in Game 7. The Cardinals entered the bottom of the ninth inning of Game 6 three outs away from clinching beating the Royals in the I-70 Series. 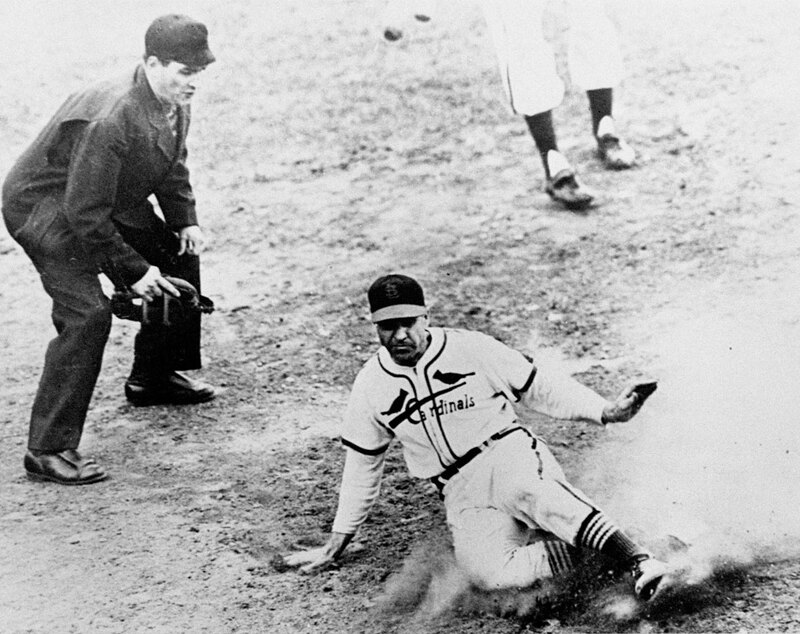 Kansas City's Jorge Orta hit a groundball to first and though St. Louis' Todd Worrell beat him to the bag, umpire Don Denkinger incorrectly ruled Orta safe. 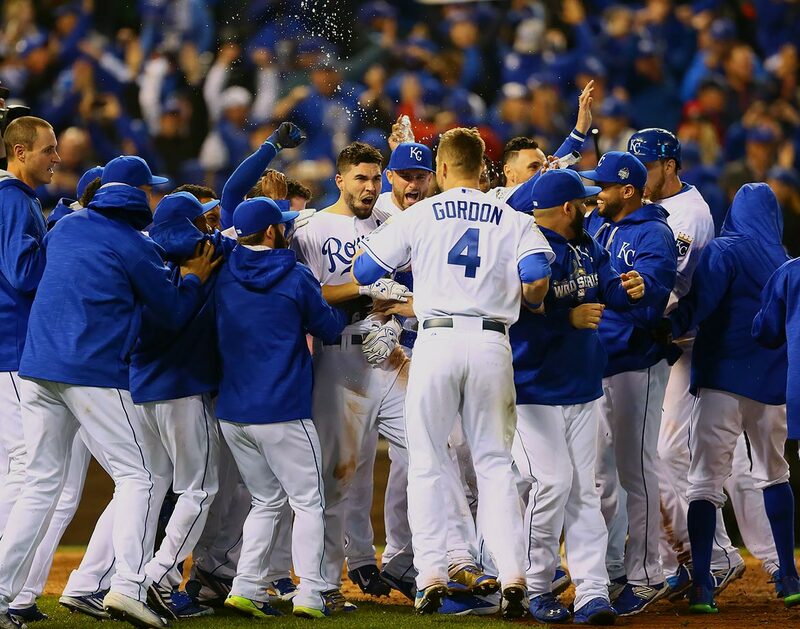 The Royals rallied for two runs to win that game and then routed the Cardinals 11-0 in Game 7 for their first World Series title. 23 of 39 Walter Iooss Jr.
Reggie Jackson homered in three consecutive at-bats during Game 6 against the Dodgers in 1977 to clinch the Yankees' first World Series title since '62. 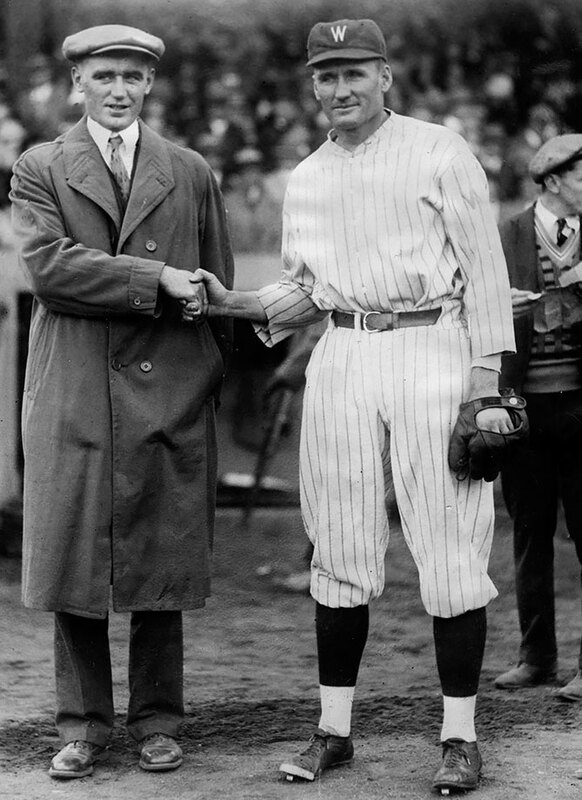 Jackson finished the Series with a record-setting five home runs and joined Babe Ruth as the only players to hit three homers in one Series game. 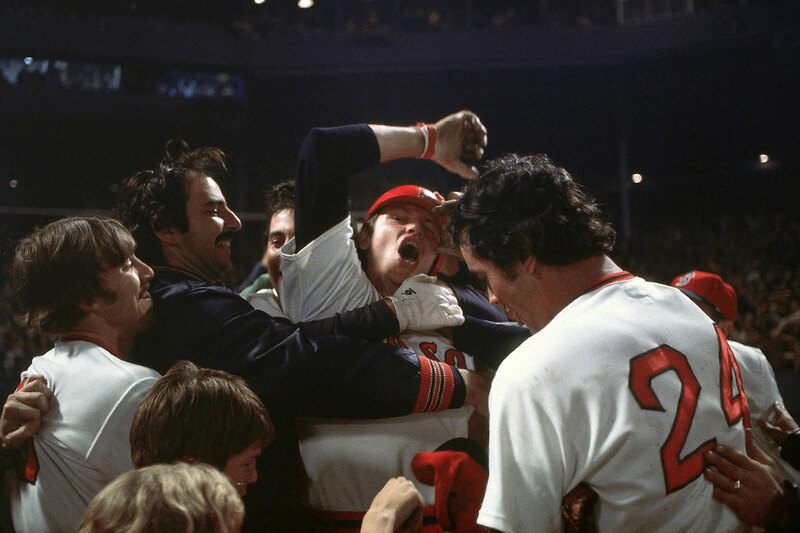 A dramatic Game 6 entered the 12th inning tied at six when Boston's Carlton Fisk led off against Pat Darcy. 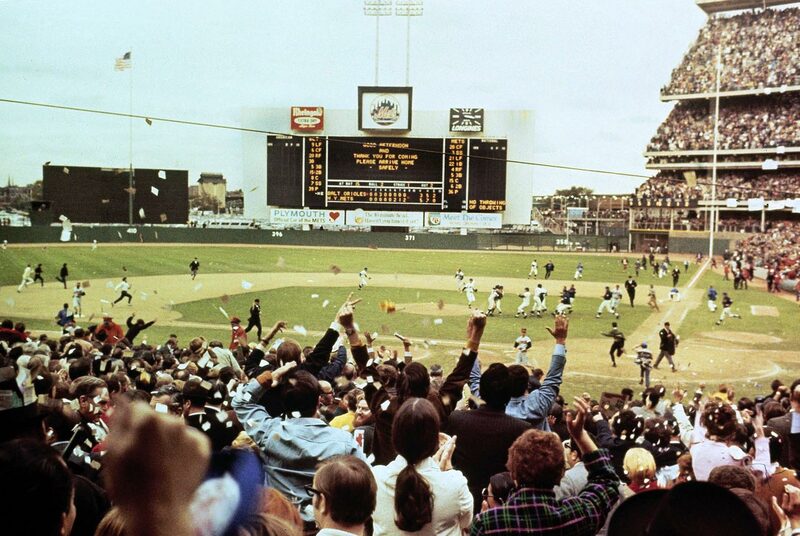 Fisk lofted a ball toward the left field foul pole and began waving his arms, imploring it to stay fair. It did, and the Red Sox had won arguably the best game in baseball history and forced a Game 7. Cincinnati, though, beat the Red Sox in that decisive game for its first title in 35 years. 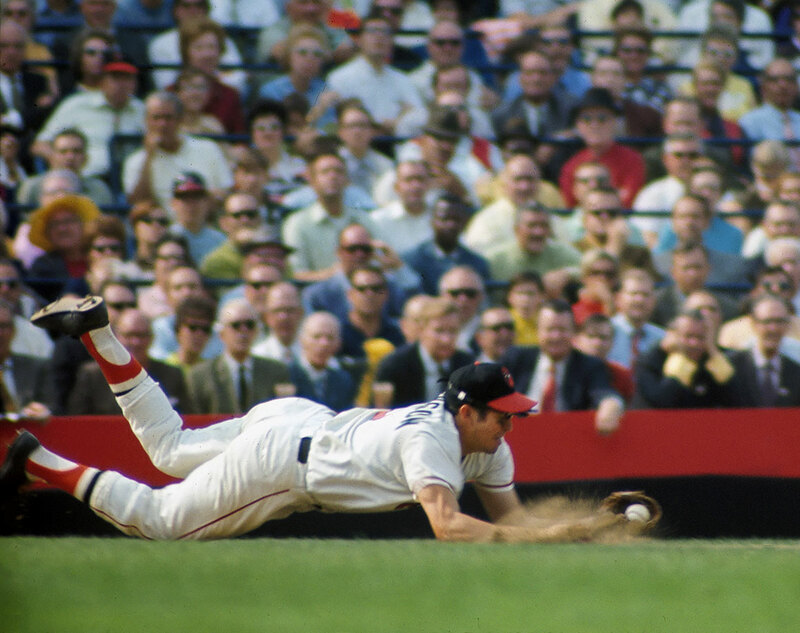 Baltimore's Brooks Robinson was already considered the best defensive third baseman in the game, but what he did in this series made many consider him the best defensive player ever. 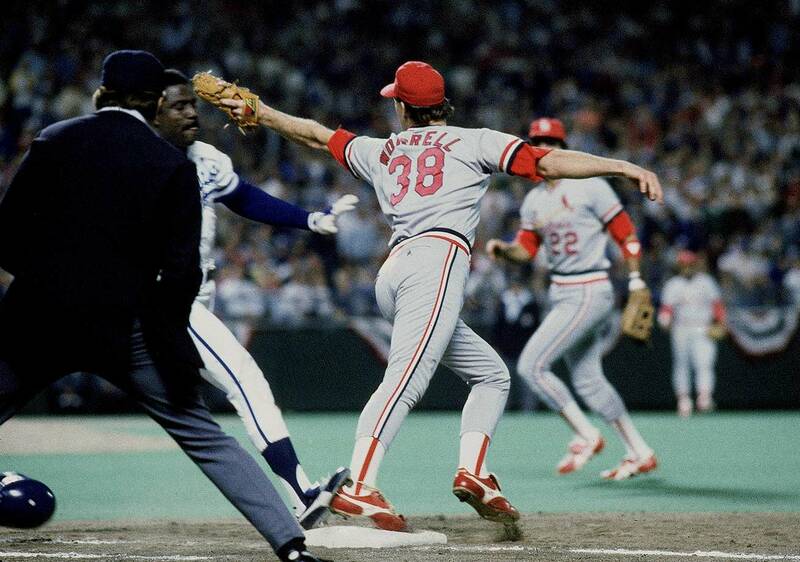 It started in Game 1, when Robinson stabbed a hard-hit groundball down the third base line with his back-hand, and threw out Cincinnati's Lee May. Robinson also hit the game-winning homer that day, but it was his defense, that included several subsequent gems, that is remembered most. 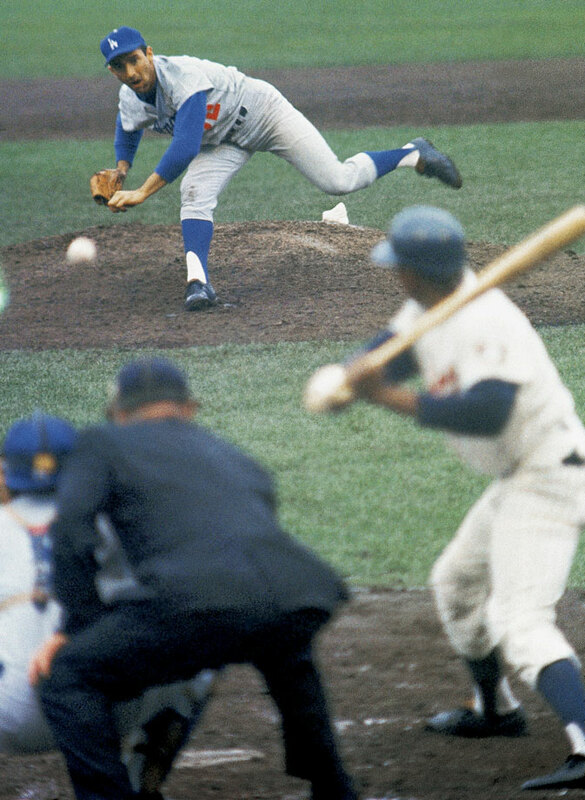 The Orioles led Game 5 of the '69 World Series 3-0 when Mets manager Gil Hodges proved that a pitch thrown by Baltimore's Dave McNally had hit Cleon Jones in the foot by showing the umpire that there was shoe polish on the ball. Donn Clendenon followed with a crucial two-run home run in the Mets' 5-3 victory that clinched the Series. Dodgers ace Sandy Koufax didn't pitch Game 1 of the Series because it fell on Yom Kippur so he didn't start until Game 2. Los Angeles lost both those games and headed home trailing 2-0. But the Dodgers won Games 3 and 4, Koufax pitched a shutout in Game 5 and, after the Twins tied the Series in Game 6, he did it again in Game 7. Pitching on just two days' rest, Koufax allowed just three hits and three walks while striking out 10 in L.A.'s 2-0 victory. 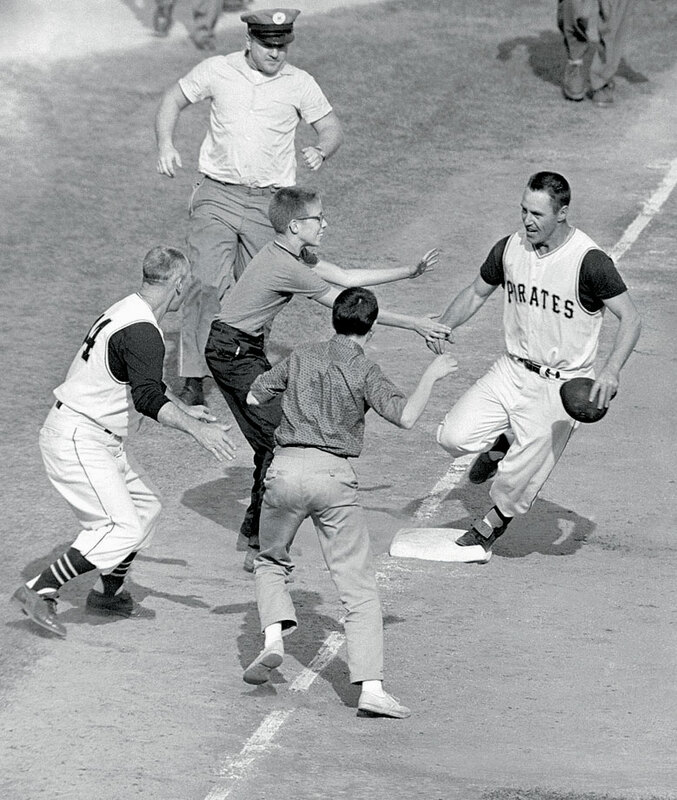 A wild series finale was capped by the first Series-winning home run in baseball history when Pittsburgh's Bill Mazeroski hit a solo homer off the Yankees' Ralph Terry leading off the bottom of the ninth. The Yankees outscored the Pirates 55-27 in the Series that year but lost the decisive final game 10-9. 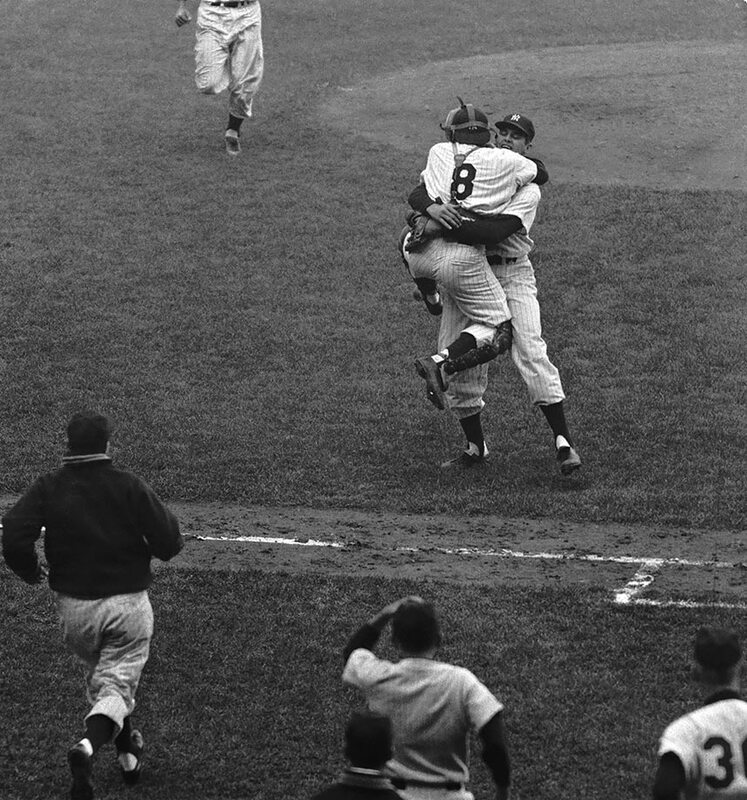 Don Larsen was knocked out of his Game 2 start by Brooklyn after less than two innings, but he was back on the mound for Game 5. Larsen retired all 27 Dodgers batters for the first — and still only — perfect game in World Series history as the Yankees won 2-0. New York went on to win the Series in seven games. 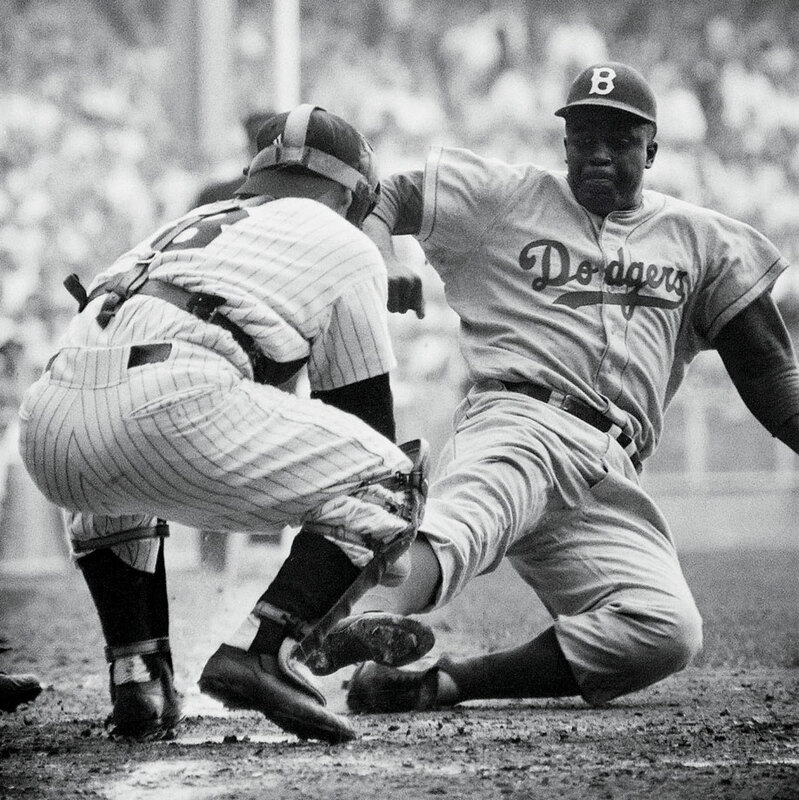 Jackie Robinson stole home in the eighth inning, barely beating the tag of Yankees catcher Yogi Berra. Or did he? Film later showed Robinson should have been called out. The Dodgers ended up losing the game to the Yankees anyway, 6-5, but bounced back to win their first World Series, beating New York in seven games. Indians ace Bob Feller had the Braves' Phil Masi picked off from second base, but umpire Bill Stewart blew the call. Masi then scored the only run in the Braves' victory. Cleveland rebounded to win the Series, the Tribe's most recent world championship. The Cardinals edged the Red Sox 4-3 when Enos Slaughter scored from first base on a double by Harry Walker in the bottom of the eighth. The Dodgers had won their first pennant in 21 years and were one out away from tying the Series at two games apiece when catcher Mickey Owen dropped a third strike. 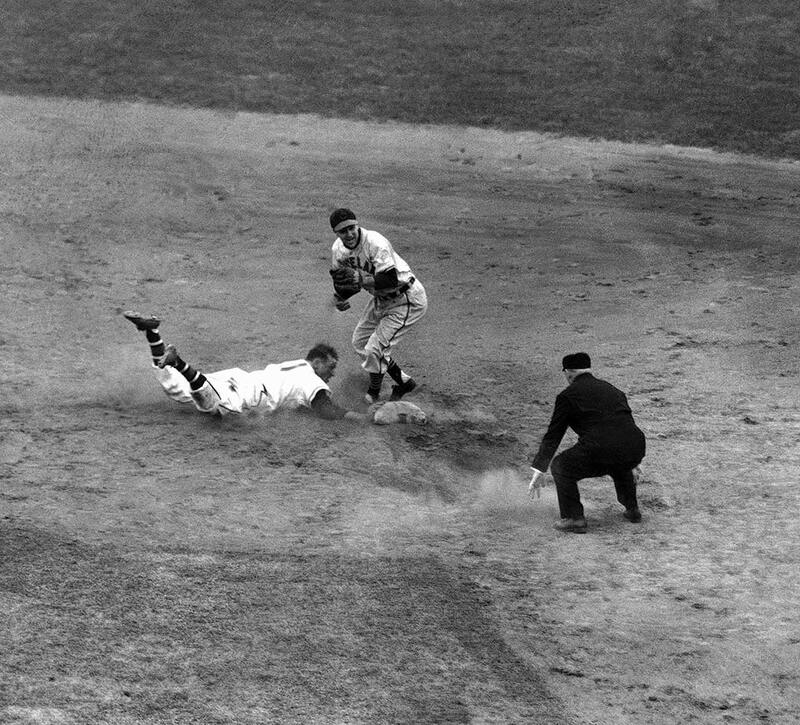 Instead of being the final out of the game, New York's Tommy Henrich reached first. The Yankees then put together a four-run rally to win the game. The next day, they won their fifth world championship in six years. Did he or didn't he? That's still the most famous unanswered question in baseball history. 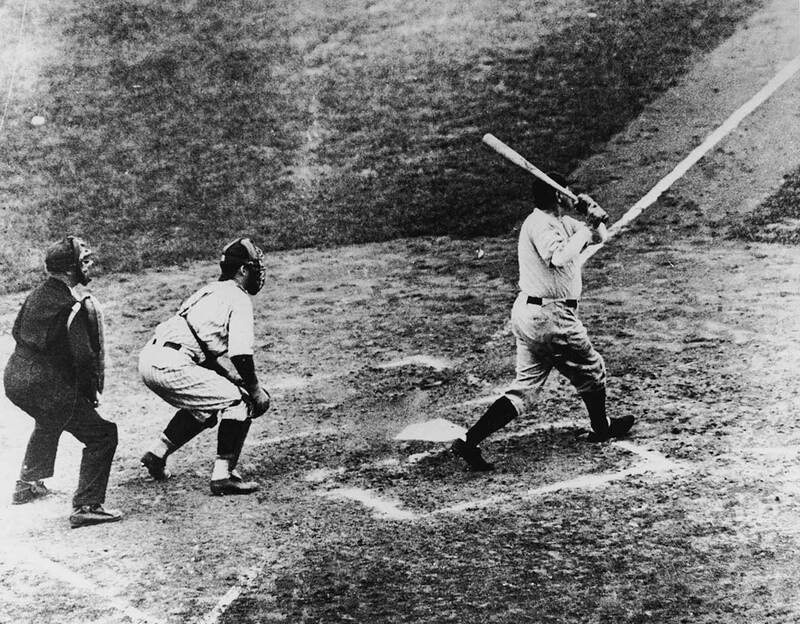 No one can seem to agree whether Babe Ruth called his shot against the Cubs, either by pointing to center field, where he then hit the ball, or at the Cubs' dugout, or even if he just predicted that he would hit one out before the pitch was thrown. What isn't in dispute is that it was Ruth's second homer of the game, helped the Yankees to a 7-5 win and that it helped New York sweep the series. Grover Cleveland Alexander was well past his prime in 1926 and he spent much of Game 7 sitting in the visitor's bullpen at Yankee Stadium. But the future Hall of Famer was called on to pitch in the bottom of the seventh with the bases loaded and the Cardinals leading by a run. He struck out Tony Lazzeri, another Hall of Famer, and then shut down the Yankees in the last two innings to help St. Louis win its first World Series. 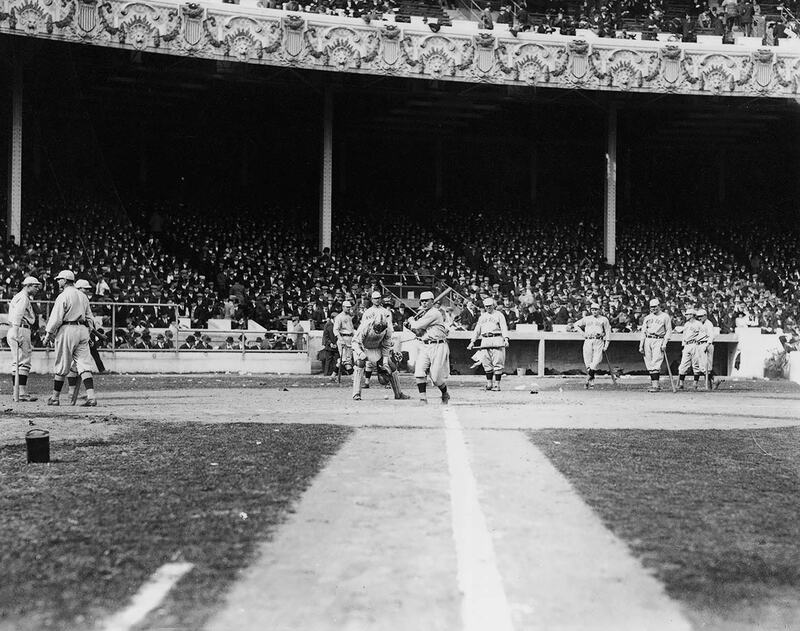 For most of their history, the Washington Senators were a disaster, but they finally won their first American League pennant in 1924 and faced the perennial power Giants in the World Series. New York led Game 7 3-1 with six outs to go, but the Senators rallied to tie the game in the eighth. Future Hall of Fame pitcher Walter Johnson kept the game scoreless for four innings and in the bottom of the 12th, the Senators pushed across a run to win their first, and only, World Series. Before becoming the greatest slugger in baseball history for the Yankees, Babe Ruth was an excellent pitcher for the Red Sox. 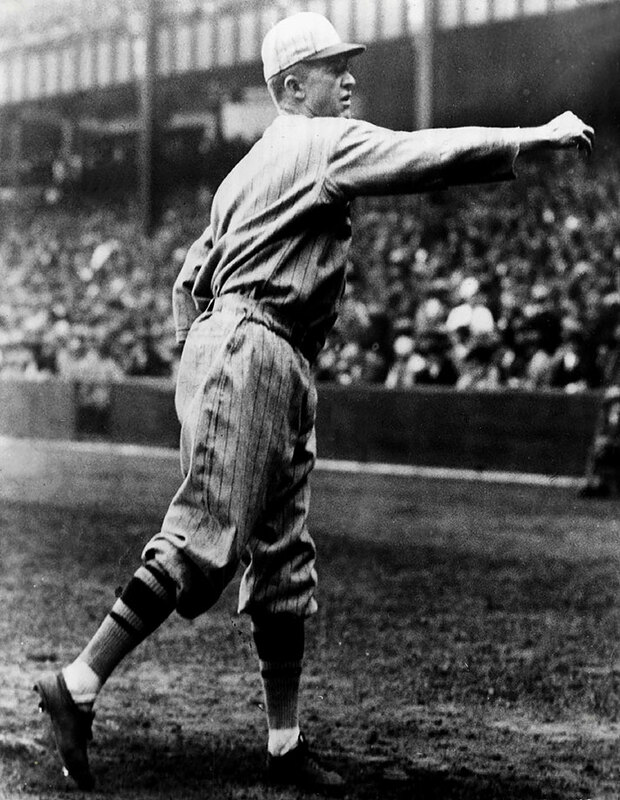 He was at his best in the 1916 World Series, when he pitched all 14 innings of a 2-1 win, allowing just six hits and three walks. 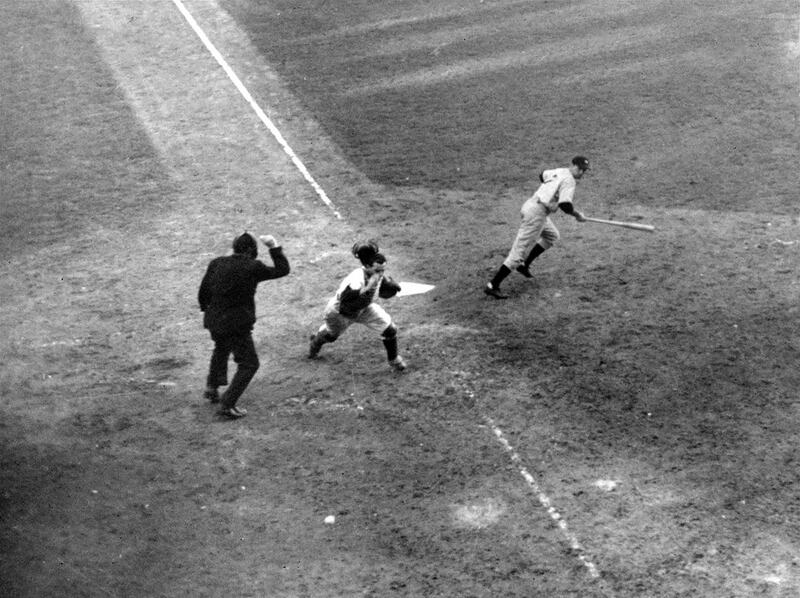 Ruth kept Brooklyn scoreless for the last 13 innings, starting a streak of 29 1/3 consecutive scoreless innings in the World Series, a record that stood until 1961. The best-of-seven series had been pushed to an eighth game because of a tie in Game 2. 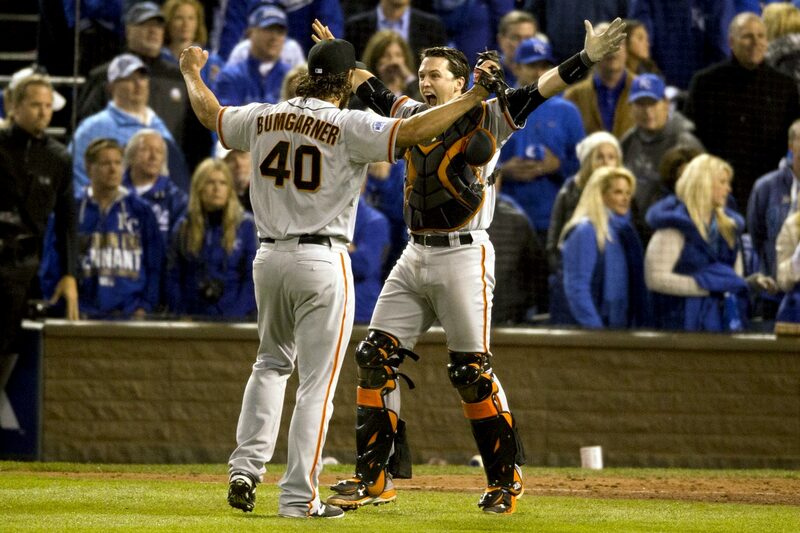 The Giants entered the bottom of the tenth in Game 8 three outs away from their second World Series title. New York's Fred Snodgrass dropped an easy fly ball that helped ignite a two-run rally that won the game, and the Series, for the Red Sox. It was their second world championship. 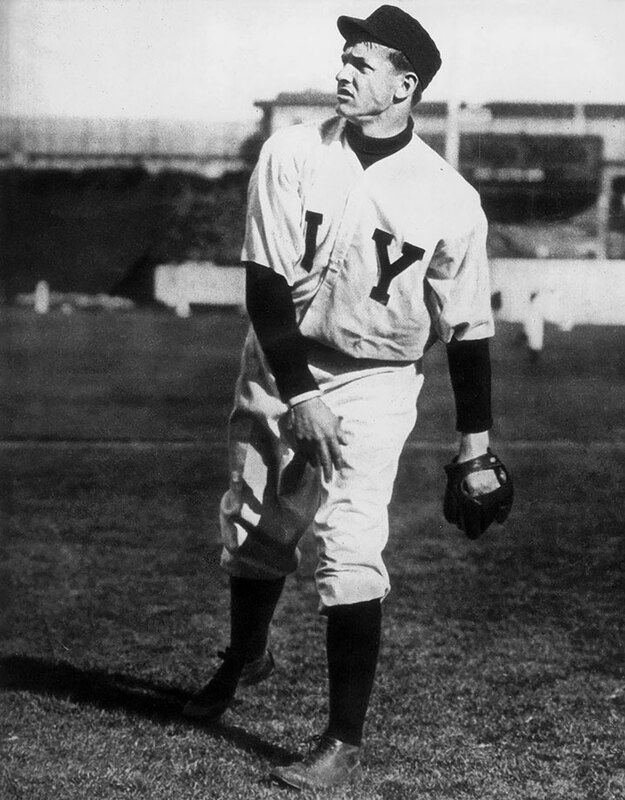 Christy Mathewson of the Giants pitched three shutouts in six days against the Philadelphia A's. The last, in Game 5, saw him surrender just five hits and no walks while striking out four in a 2-0 win that clinched the Series for New York.